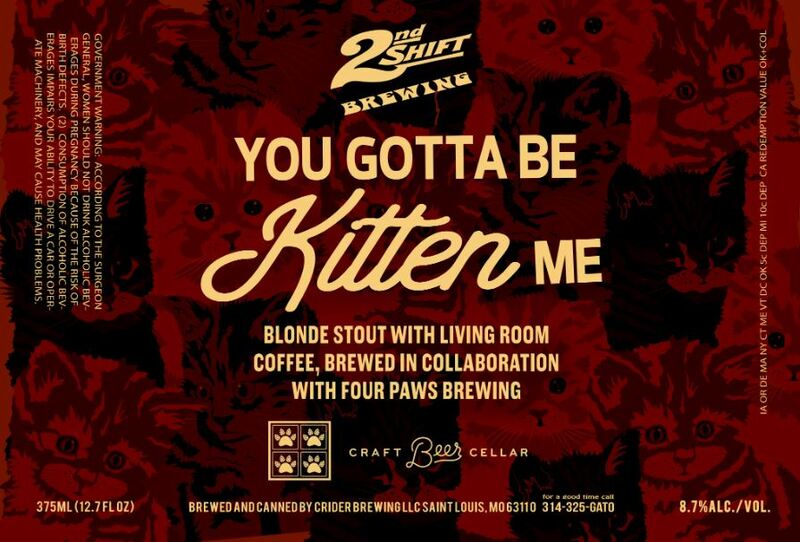 You Gotta Be Kitten me is a brand new super-collab beer from our friends over at 2nd Shift Brewing! It’s an 8.7% Blonde Stout brewed in collaboration with Four Paws Brewing, Living Room Southampton, and your friends here @ CBC! Come check it out as it hits the taps! We’ll be releasing cans EXCLUSIVELY at CBC Clayton and South City and we’ll be doing some special tappings as well.